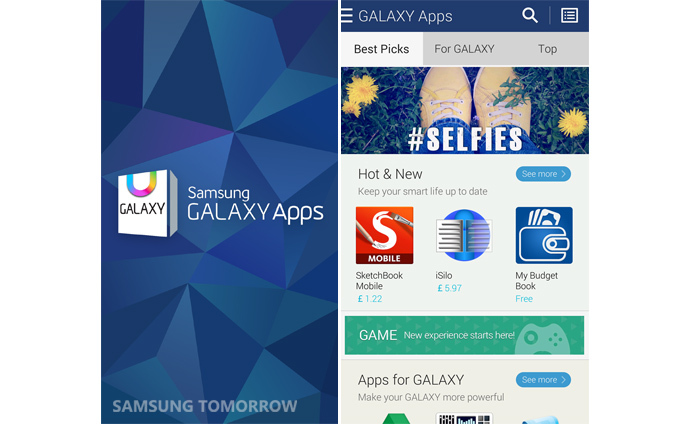 Samsung has upgraded its Samsung Apps store with a redesigned user interface and a new name — Samsung Galaxy Apps — as it seeks to put the focus on exclusive content, discounts and promotional offers. The Korean company’s app store is accessible on all of its Galaxy smartphones and tablets. The company says that gives it a reach of over 130 million users, but few are likely to have given it much consideration since Google Play is a far bigger draw on Android devices with its wider range of apps. Samsung is seemingly aware of that issue, and it claims that Samsung Galaxy Apps store features “hundreds of exclusive apps” that are designed specifically for Galaxy devices. These ‘Galaxy Specials’ take advantage of Samsung’s SDK to work with features like multi windowing, the S Pen and the Samsung ‘home appliance’ network. The revamped app store also sports a cleaner look by organizing apps by popularity and date, while there is a section that highlights Galaxy Specials. Samsung blamed “weak demand” for its third straight quarter of profit decline and, as Stratechery points out, one of the company’s chief issues is that it competes solely on price and not differentiated software, as Apple does. The revamped app store may be an effort to change that, but since it is living in the shadow of Google Play, it seems unlikely that this will make much difference for Android device users. The store is, however, likely to become more important as Samsung pushes its Tizen devices — the first of which is due to launch in Russia this year.